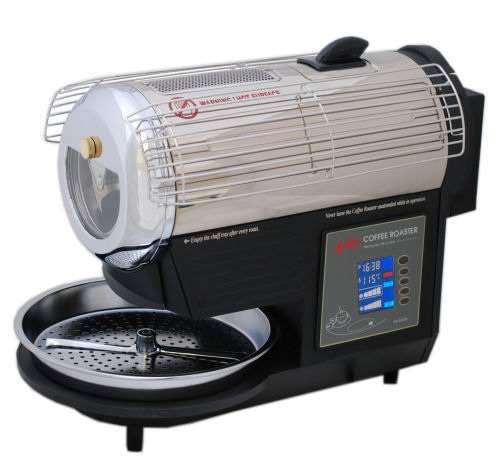 The Hottop KN-8828B is a Hottop coffee roaster with programmability! After setting a target temperature and roast time at which the beans will be automatically ejected, the B controller gives you the flexibility to adjust the heater power and fan speed at any time during the roast to build the profile you want! And if you liked what you did, you can save the program at the end of the roast for next time! The great thing about the Hottop B over every other Hottop controller is that it provides proportional heater power control. 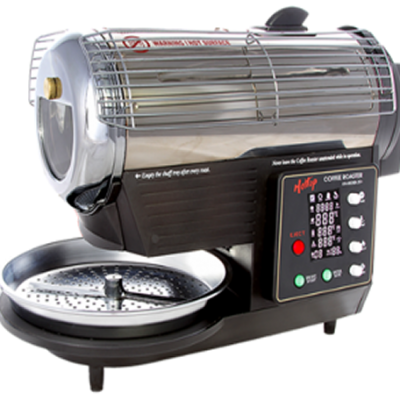 All other controllers simply turn the heater full on or full off, whereas the B allows you to provide constant heating at different power levels for the ultimate control and evenness in roast. It really is the controller for the roasting enthusiast!